With 20 years experience working in Commercial Real Estate both in Australia and the United Kingdom, Kimai is responsible for the leasing activities for a number of Shopping Centres within the Retail First Portfolio. Kimai has managed retail assets on behalf of a number of Property Owner Groups, including Superannuation Funds, REIT’s, Private Investors, Venture Capitalists, and Real Estate Developers. 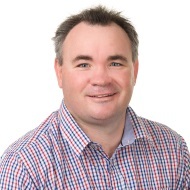 In addition to his workplace experience, Kimai is also Tertiary qualified with a Bachelor of Applied Science in Property Economics from the Queensland University of Technology and has completed Post Graduate Studies holding a Graduate Diploma of Applied Finance and Investment from the Securities Institute of Australia.